Designed for folding bikes or bikes with unusual builds, our Universal Sport Brake XL kits include anti-kink end caps and longer cables and housing. 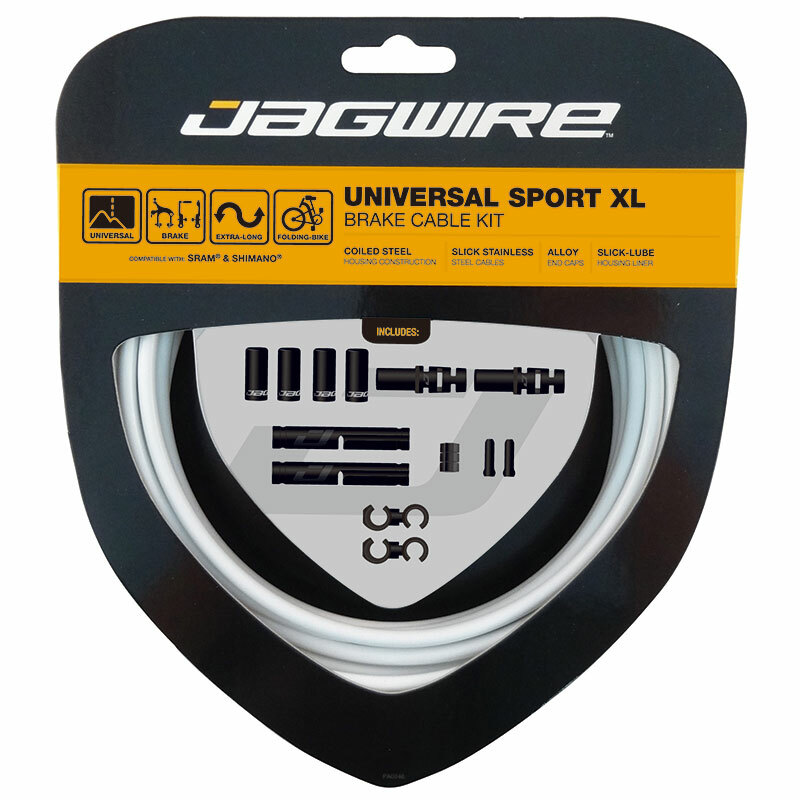 A great replacement for OE cables and a perfect way to bring style to a bike, they come with double-ended Slick Stainless cables compatible with SRAM® and Shimano® road and mountain systems. Our new and improved Slick-Lube liners reduce friction, providing improved shifting precision and long-lasting performance.